In a territory that was historically dedicated to olive growing, especially in the southern area of Montalcino, oil has always been a typical product: that is why we bought during the 50s the land in Piancornello with an extended olive grove. So we started producing extra-virgin olive oil for our family consumption, but especially to satisfy the increasing demand of oil in bulk coming from the local market. Starting from the new business idea that we developed during the early 90s, we have always desired to deal with this product in a professional way. However, we decided to focus ourselves mainly on wine production, but keeping producing oil for taking care of ourselves and of our plants. Then our growing curiosity, many attempts and a desire to consolidate our expertise that we finally considered to be adequate for a quality product, led us to sell in 2015 our first bottled oil into the market. Our olive grove hosts more than 2.500 plants, extending between Piancornello and Castiglion d’Orcia at 170 metres above the sea level for about 8 hectares. The olive varieties are typical of this area of Tuscany, that is olivastra seggianese, olivastra and correggiolo. 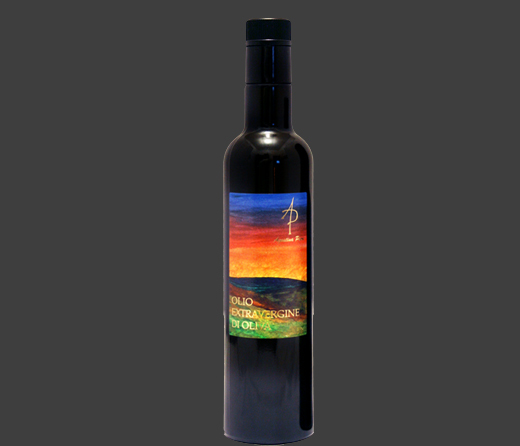 Harvest and processing operations aim to respect the raw material best and to assure the maximum quality in the bottle.